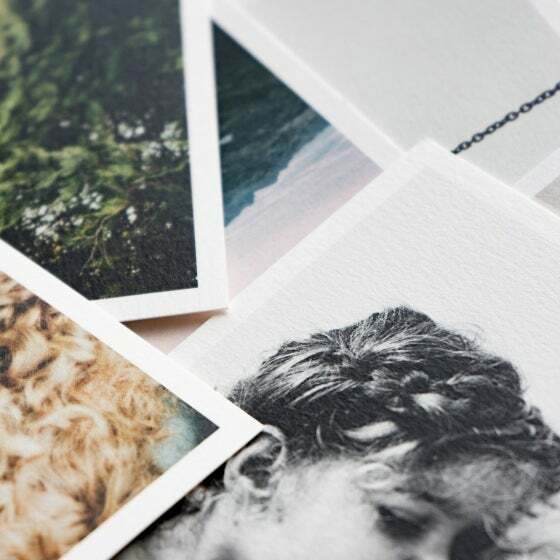 Our custom packaging holds 25 prints per box, so prints may arrive in two boxes. 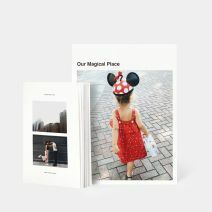 Off your device, into your life.™ This set of 10, 25, or 50 prints has a high quality, textured matte-finish. Looking for different print dimensions? 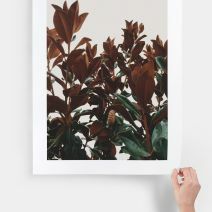 See more size options with our Everyday Print Set. 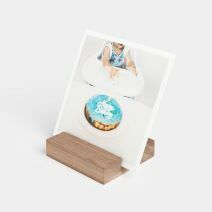 A classic display for photo prints and cards, the Wooden Photo Ledge is handcrafted in the USA and comprised of real walnut wood. 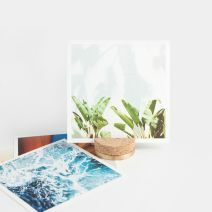 Layer your favorite paper prints within the thin groove and rotate them for any occasion – set on a mantle or secure to the wall for a floating shelf effect. 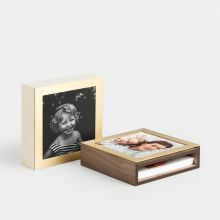 Display and store your favorite prints with this elevated photo box, crafted of brass and real hardwood. 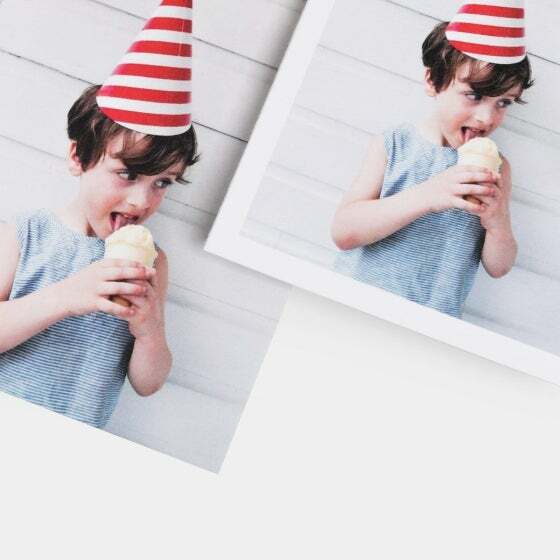 Showcase your favorite image by sliding it into the front of the box, creating a frame-like display. 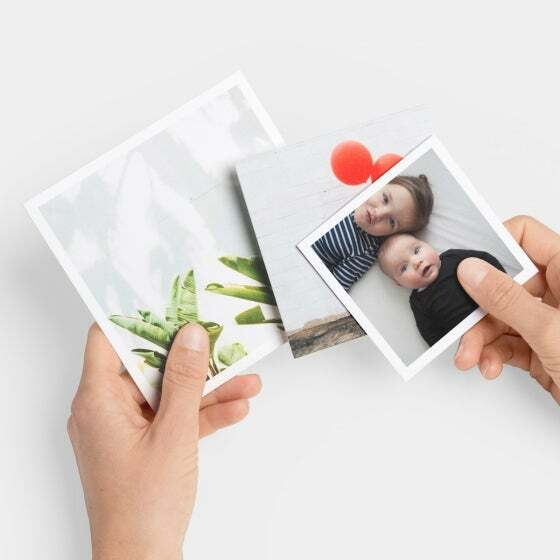 Holds up to 50 5x5" Square Prints. 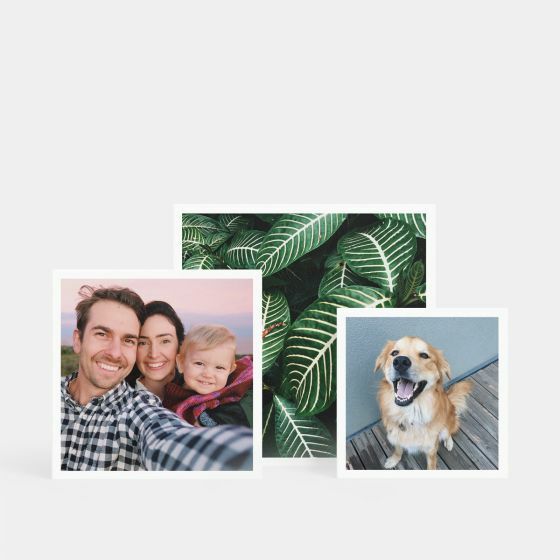 These textured, matte square prints are perfect to print Instagram photos, with the ability to link your account or simply upload from a computer. 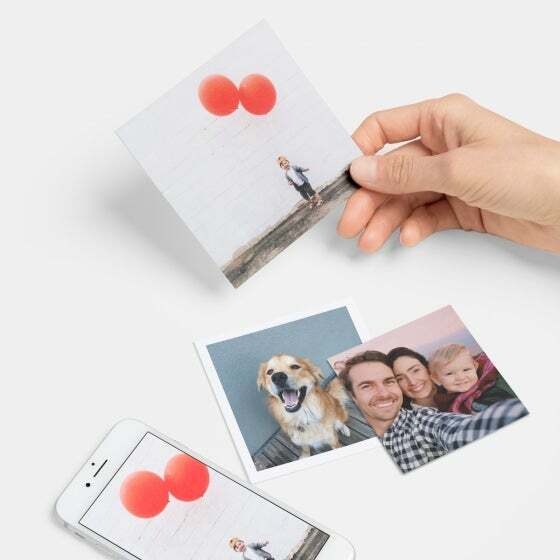 With sets of 10, 25, and 50 in either 3.25 x 3.25", 4 x 4", or 5 x 5", there are so many ways to bring those photos off your device and into your life. 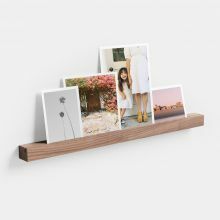 Need some inspiration for displaying printed photos? 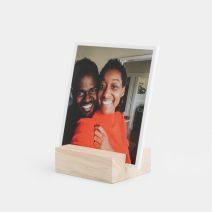 Check out these 8 Print Display Hacks To Try At Home and Ideas for Printing Your Instagram Photos.